Quran Karim is the last and most sacred book of Allah عَزَّ وَجَلّ which provides us guidance in every aspect of our life and tells us how to lead a peaceful and prosperous life. 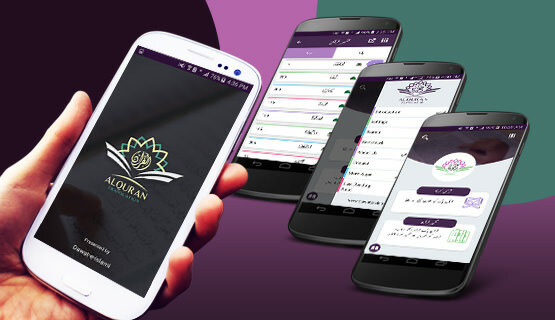 With the noble cause of spreading the knowledge of Quran the I.T department of Dawat-e-Islami has launched a fabulous mobile app named as “Al Quran with Tafseer (explanation)” to facilitate the Muslim Ummah and to enlight their heart and soul with the blessed knowledge of Quran. Now with the recitation of Quran user can also read Translation (Tarjuma) and Interpretation (Tafseer) of the Holy Quran. Just download this app in your smartphone and recite Quran anywhere you want with ease. 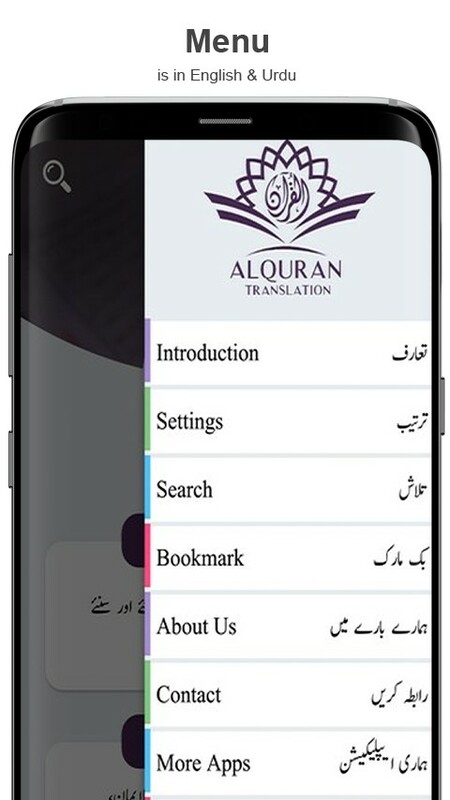 Al Quran is a gorgeously designed mobile application with an attractive UI along with marvelous features. You can read two translations of the Holy Quran i.e. Kanz-ul-Imaan and Kanz-ul-Irfan. a) Kanz-ul-Imaan: This is the Translation of Ala Hazrat Imam Ahmed Raza Khan Barelwi رَحْمَۃُ اللہِ تَعَالٰی عَلَیْہ. b) Kanz-ul-Irfan: In this Translation, Kanz-ul-Imaan is described in the simplest form by Mufti Muhammad Qasim Attari. Apart from translations app has also an Interpretation (Tafseer) i.e. Seerat-ul-Jinan in which you can read and understand every verse (Ayah) in detail and it is written by Mufti Muhammad Qasim Attari. User can listen the beautiful recitation of Quran (Tilawat e Quran) in the voice of multiple Qaris. In this app user will get to know the complete Introduction of each Surah (Chapter) along with the benefits and virtues of reciting a particular Surah and you can zoom the content as well according to your need. To search anything in the Quran you have to write in Arabic and in Translation and Interpretation you have to write in Urdu in search bar. 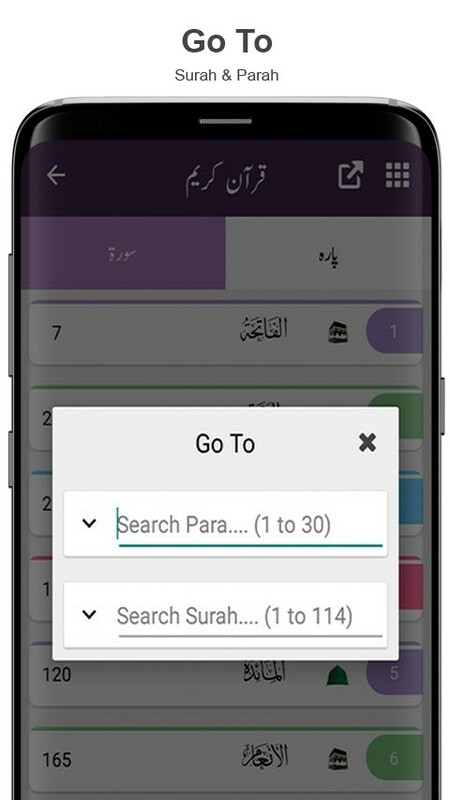 Word by Word Search: With the option of word by word search in the Translation (Tarjuma) and Interpretation (Tafseer) you can search any word in any particular verse or in the whole Quran (قرآن) as well. It will help you to view your previous reading page. With the help of this option you can resume reading from the previous reading point. With this option you can directly go to your desired page just by typing the number of any Part (Parah) or chapter (Surah). You can bookmark and save it with the name or topic of your choice and a list of these bookmarks will be shown in the bookmark section. When the application will update your bookmark will not be removed. User can view the content in landscape mode and this will help the user to read with ease. Menu is available in various languages i.e. English and Urdu. User can share any verse of Quran with its Tarjuma (Translation) and Tafseer (Interpretation) as HTML through Whatsapp and you can also share the app link through different social media platforms such as Facebook, Twitter, Skype etc. Download this tremendous app today and let other Islamic brothers know about it. Please do send us your valuable suggestions and feedback at support@dawateislami.net.